contacted me to introduce her newly launched site. 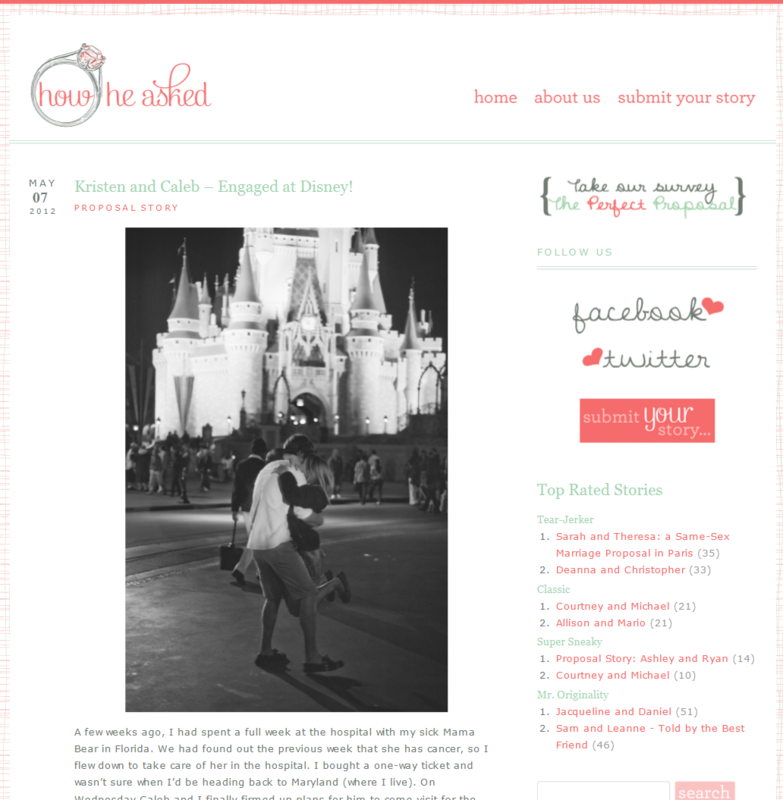 This website allows couples to share their engagement stories with their friends and family. Stacy launched HowHeAsked.com after she was involved with a proposal of a dear friend who got engaged last year. to HowHeAsked.com. I can think of a few of our couples who should have their stories on this site!